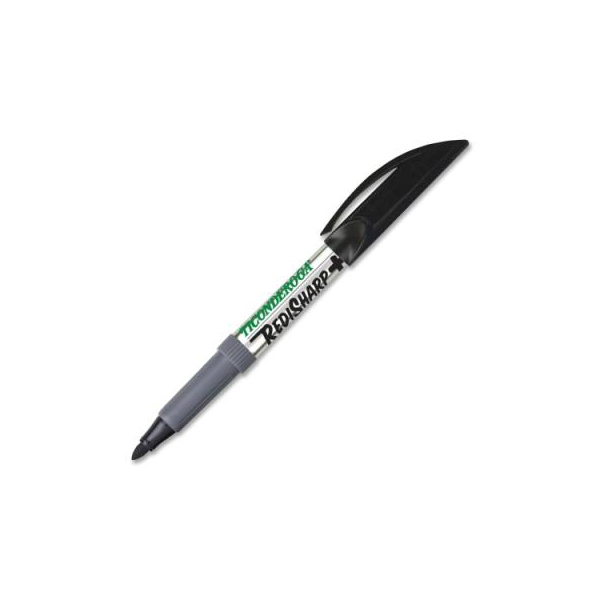 RediSharp pens permanently mark on virtually any surface and features Microban antimicrobial protection that lasts the lifetime of the product. Built-in antimicrobial protection continuously fights the growth of microbes, such as stain-causing and odor-causing bacteria. Unique patented "Thumb Button Cap" allows one-handed cap release. Specially formulated water-based ink WILL NOT BLEED through paper and is odorless (12 Pack).